Welcome to BIFF Blog 2011! "Is the cinema more important than life?" 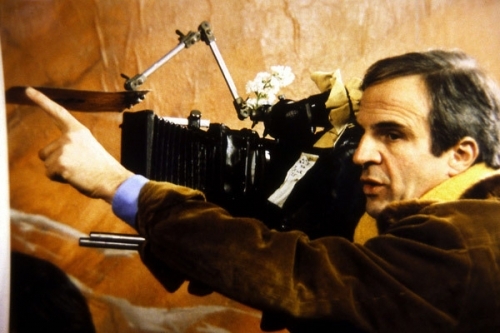 "Cinema is an improvement on life." Hey, film lovers! 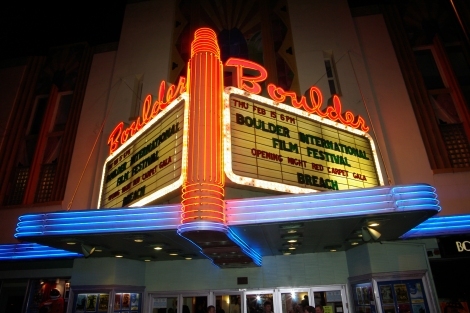 It’s time for the seventh annual Boulder International Film Festival! A week from now, our program will be announced. Less than a month from now, on Feb. 17, Opening Night of the festival takes place. We are excited, and are busy preparing to make this the best BIFF ever. Those of you who follow us faithfully already know that Oscar-winning director, writer and producer Oliver Stone will be our special Closing Night guest. “An Evening with Oliver Stone” will feature a retrospective of his work, an onstage Q & A with our master of ceremonies Ron Bostwick, and much more. It will be the culmination of four days of screenings, workshops, panels, interviews, parties, symposia and all-round frantic fun as we present 39 separate programs of film. As always, these will encompass rigorously selected works from around the world, including feature-length films, narratives, documentaries, short films and animation. And don’t forget the second annual Digital Media Convergence Symposium – DiME – which features national and regional leaders in cutting-edge entertainment and information technology, discussing topics of moment and offering opportunities for networking with key industry players. Our unique Call 2 Action slate of issue-driven films gives audiences and activists a chance to make real change happen! Speakers, events and activities will surround these thought-provoking, socially conscious cinematic works. No other film festival on the planet offers this kind program. The aim of festival directors Robin and Kathy Beeck, nearly three dozen staffers, and a small army of 300-plus volunteers is to inundate festivalgoers with an avalanche of images, to share visions from filmmakers new and seasoned – to bring the world of film to Boulder. The idea of a film festival is, like the art/industry itself, historically rather new. To celebrate and reward significant creative achievements, however, is an age-old impulse, and one in which we strongly believe. BIFF seeks to inspire and cross-pollinate – and have fun doing it. We invite you to make the journey with us. Our website, http://www.biff1.com/, contains all the necessary info for you to optimize your filmgoing experience. Here you will find on-line ticket purchasing, a full schedule, FAQs, contact information, maps – all kept up-to-date by our intrepid webmasters. 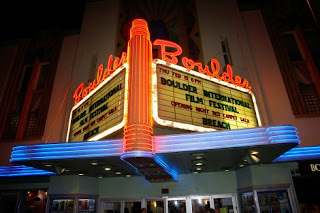 If you are not following us on Twitter (#BIFF1), or have not friended us on Facebook (simply type in Boulder International Film Festival), please do so! Look to those media in the days to come for breaking news, updates, interactive billboards, and our usual silly pre-festival contests and quizzes. For the first time since the festival’s inception, we are dedicating this blog as a kind of digital press office. Look here for a continuing series of posts that provide in-depth information regarding events to come – including interviews, profiles, schedules, how-tos, behind-the-scenes glances, and more. As always, we welcome your input – questions, suggestions, comments. Also, look for us to provide you with an array of images, trailers, weblinks, lists, bells, whistles and a kitchen sink or two. Your Blogmeister has been involved with the festival for six of its seven years, and can honestly say that life-changing events and encounters (and the stuff of life-long anecdotes) happen here every year. Join us!